Free Ringtone Maker is a handy and reliable utility designed to enable you to prepare ringtones for your phone. 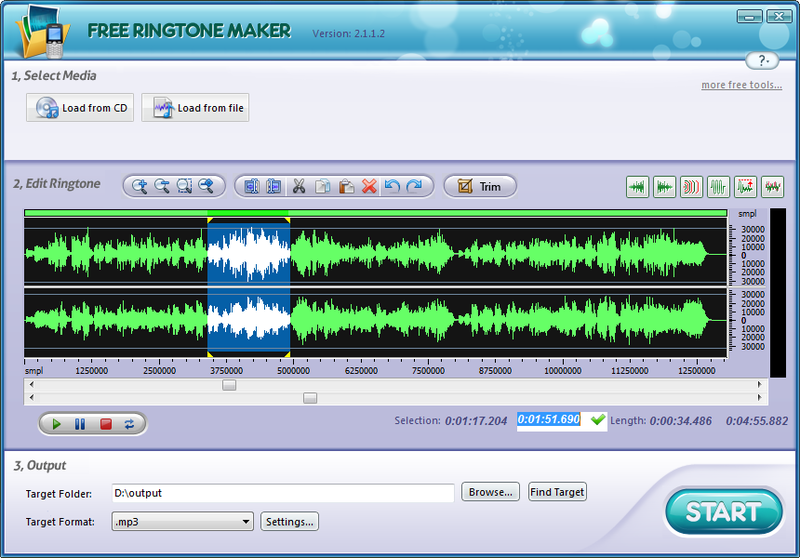 Free Ringtone Maker is an extremely simple and handy software for making your own free ringtones in 3 easy steps. Just pick a song, cut it by dragging a pair of sliders, and then you get your ringtone. You can also add some fade-in and fade-out effects to the ringtone.